Train Trek England: Sky High! Hey pups! 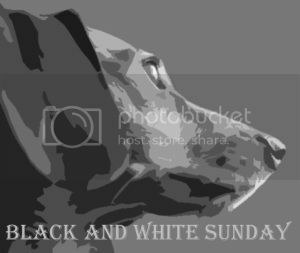 After sniffing around my blog roll I see a lot of my dog pals have chosen 'jump' for their 'J' word. Well pups, I'm with ya! Few weeks ago Mom bought a hurdle jump in a TKMaxx for half of the original price and the fun began. On Tuesday, we took the jump out to a nearby field for some fun. Pee S. Here is a training video from the same day! 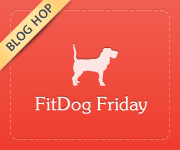 Great topic for J - - lots of our FitDogs doing the A to Z Challenge talked about Jumps! We went with Jogging...but it's all good because it helps get pups moving and FIT! Thanks for joining the Hop. Ooohhh, jogging. Might steal that off you gir next year's A to Z. Nice jumping! :) It's cool that your mom was able to find that hurdle and set it up for you. Yeah she was pretty psyched about it. The video at the end gives such a sense of the day you had in the park, and what the park was like. That's so fun. I know you can get great stuff at TJ Maxx, but what a cool find. Makes me really happy to read such positive comments, thank you! Great video! Looks like a really fun day! Sure was. I can't wait to go again! That looks like a lot of fun. J for Jump is a great pick. 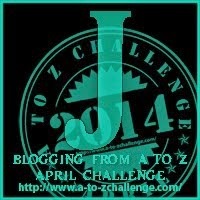 Thanks- as soon as we signed up for A to Z we knew what our J word would be. Way to go!!! We love jumping! Glad to know that you are staying fit and having fun too! She is a smart cookie!